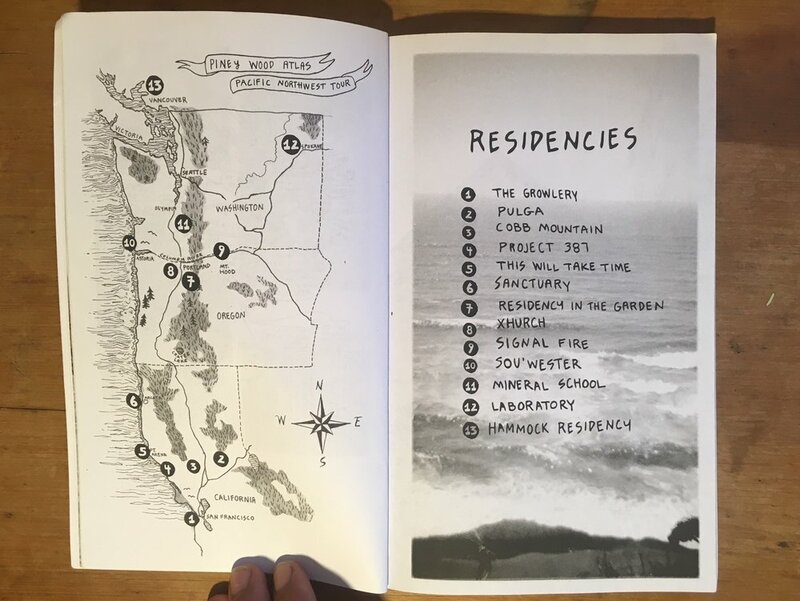 Piney Wood Atlas Volume I: The Northwest profiles 13 unique artist residencies that were visited in the summer of 2016 as part of our first trip. During our visits we conduct interviews, take tours and share conversations with the facilitators and the artists-in-residents. We then translate this information gathered from our trips into profiles consisting of writing, illustrations and photographs.